In recent years, one sort of pet has seen its popularity surge. Chickens as pets are, according to a recent survey, now the sixth most popular pet in the country – just behind rabbits, and ahead of Guinea pigs. If you’re keeping chickens, or you’re looking to do so soon – then you’ll want to research the basics to give your chickens the best possible life. Let’s examine some of the fundamentals of keeping chickens. For a chicken to live a happy and healthy life, they’ll need to be afforded the right diet. Their digestive system is designed to pick food up off the floor, and they need insoluble grit to properly digest their food (in much the same way that you or I need the insoluble fibre found in vegetables). Some sorts of grit can also help to provide extra calcium. When considering the sorts of feed, you’ll be providing, be sure to always bear in mind both the age and breed of the chicken. Chickens also need a supply of fresh, clean water. Provide this in drinkers that can be accessed even in cold weather. Be sure that small chicks are unable to wander into the water supply and get into danger. If you should need to replace the drink-dispensers, then try to replace them in kind – this avoids confusion. Food hygiene is crucial in preventing diseases from breaking out. Be sure, then, to clean both drinkers and food dispensers regularly. When doing this, be on the lookout for signs of mould or rust. In the case of food dispensers, be sure that they’re thoroughly dried before putting them to use again – when food is left in damp conditions, it can provide a lure for bacteria and harmful fungus. Neither of these, suffice to say, is good news for your chickens. Chickens should be provided with shelter at night time, and a place to wander around during the day. Their home should be kept warm and dry, and frequently disinfected to keep parasites at bay. Chickens keep dry during wet conditions by bathing in dust – so be sure that there is plenty of wood shavings or dry straw on the bottom of the chicken coop, and that this supply is regularly swapped out to keep things clean. If chickens are not given plenty of room to exercise, then they may start to exhibit behavioural problems. Depending on the size of the birds, the RSPCA recommends that twelve metres squared be provided for thirty birds. If you’re dealing with smaller amounts, however, you might want to keep things a little more generous. Chickens should be provided with perches to sit on inside their coop, and enclosed nest boxes to comfortably lay eggs inside. Provide the latter with a comfortable, dry bedding of straw. If your coop has more than one entrance, then this will help to ensure that your chickens are able to come and go as they please, and will reduce the amount of conflict. If you’re keeping a group of chickens, then you’ll need to ensure an appropriate gender divide. Of course, this shouldn’t be fifty-fifty; female hens should be kept in groups of at least three to avoid depression and other problems. Chickens have adapted to be social birds, and a solitary existence doesn’t suit them. Where males are concerned, the most obvious problem is unwanted aggression. Avoid introducing two cockerels to the same space, unless the two have been together from a young age, and show signs of getting along well. In most cases, however, multiple cockerels will perceive one another as a threat (often with some justification) and begin to fight. Such conflicts can inflict considerable injury. If you’re intent on owning cockerels, of course, then you should be aware of them crowing at the crack of dawn; if you and your neighbours won’t be able to tolerate such behaviour, then you should avoid owning cockerels. When introducing new chickens, it’s worth exercising caution. This is especially so if some chickens are much larger, as this will result in dominance aggression and bullying behaviour. Watch the way your chickens behave shortly after a new arrival – and look for evidence of fighting in the weeks afterwards. After a few weeks, a new social hierarchy should have been arrived at, and any conflict should have ceased. Knowing the signs of poor health can be vital to identifying problems before they become serious. Hiding behaviour, hunching and feathers that stand on end can all evidence a problem. Chickens should be regularly wormed and inspected for lice and mites – but with proper hygiene, these parasites will be less likely to establish a foothold. 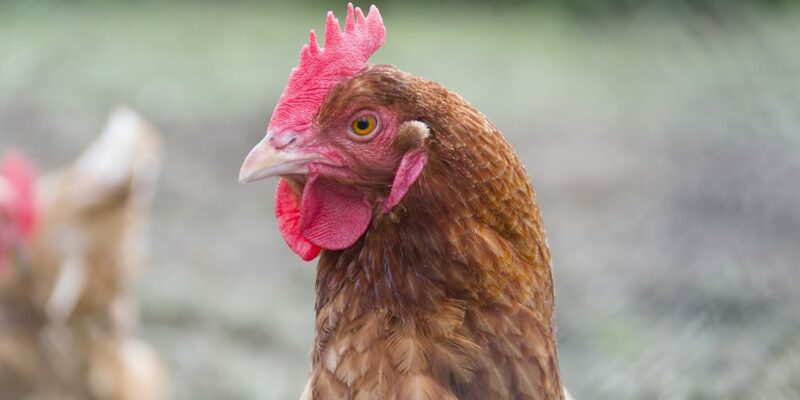 Chicken owners should be sure to sign up to the Great Britain Poultry Register, which will provide important information in the event of a disease breaking out. It’s mandatory that owners of more than fifty birds sign up – but even if you’re just a hobbyist, the information provided can spell the difference between safety and misery for your chickens.